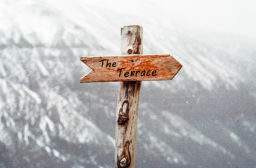 Dig out the ski wear and join us on The Terrace, it is Apres Ski time! With wine and beer throughout the evening, along with an Oompah Band and the best DJ tracks fresh off the piste – dress to embrace the Yorkshire winter! Alpine favourites will be available, including cheese fondue, tartiflette, charcuterie, steamed treacle pudding for those with a sweet tooth.